Franco is a core developer and is currently a member of the Framework team. He has also contributed to several 3rd party add-ons. He currently provides his services as an independent consultant. 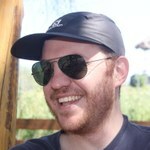 From Cordoba, Argentina, Franco is a Plone developer with over 10 years of experience.